the thrill of it all - moments of joy in the wedding chaos: Sleeklens Wedding Workflow Lightroom Presets. It's winter and there are less weddings for me right now, so I've been spending time photographing the Melbourne streets (see my Instagram) and cleaning up and changing a few things in my workflow and system. About a month ago I was contacted by a Danish software company called Sleeklens with a request to appraise some post production software - here's my thoughts. 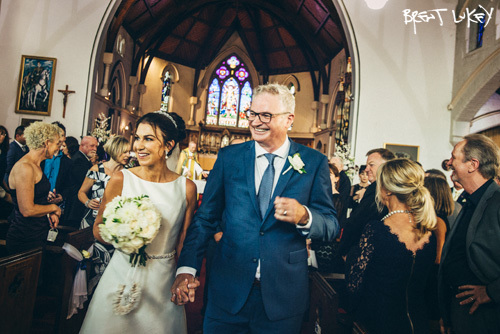 Sleeklens make a range of Lightroom photo editing presets including a wedding package called ‘Forever Thine Wedding Workflow’ - I know, the name made me feel little bit sick too, but I remained open minded and installed the files. In terms of my workflow, I judge each image on it’s merits and use one or two personal presets that basically improve the colour and exposure or make the photo black and white. Nothing is batched. The look I am going for is classic and consistent, so filters that are heavy on the vintage or too soft or too sharp don’t really appeal, so I was skeptical about this collection. However, I played around with the 100 plus presets and to my surprise and some delight I found that many were excellent. Sure there are some that make everything ‘green’ or ‘instamatic’ or so soft it’s ridiculous, but there are also a selection that are surprisingly sweet (especially when tweaked a bit) in a classic, analogue way. Included in the package is a collection of brushes. These can be used to burn or dodge, fix selective colour or add colour, sharpen or soften and enhance tone. They too are simple and well thought out and again with a little tweaking can compliment your workflow. Of course as artists we are all individuals, and therefore edit our images differently, what I like, you may not, and what you like I might think looks like something the dog did a wee on, so no package is going to suit everyone, but these are good and handy to have in your kit. So if you are looking for something to mix up your look, I suggest checking them out, they are inexpensive and pro. Here's a recent photo from Stephen and Michelle's wedding in South Yarra that I worked up with a matte look preset. Cheers, Brent.